The London Ambulance Service responded to a number of storm-related incidents this morning (28 October), including an explosion in which two people sadly died. 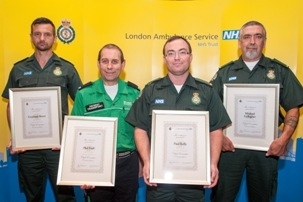 Members of staff with over 20 years’ service, retirees and medics who have gone beyond the call of duty were all recognised for their achievements at a celebratory event last night (17 October). 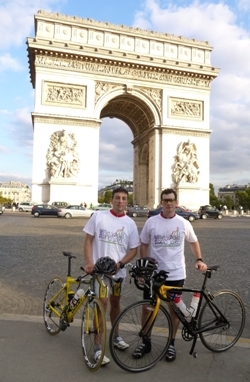 Ambulance call taker Ben Sewell completed his 300-mile challenge from Marble Arch in London to Arc de Triomphe Paris, in 28.5 hours this week. 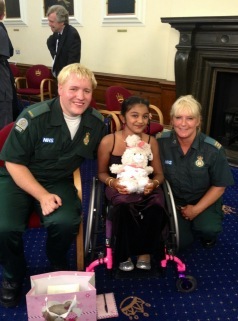 Two London Ambulance Service medics have been reunited with Thusha Kamaleswaran, who at the age of five became Britain’s youngest gang shooting victim. 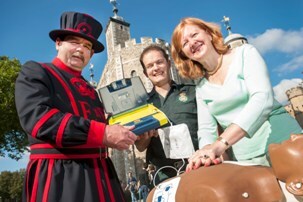 Today (Tuesday 8 October) the London Ambulance Service has launched a campaign to have more defibrillators in public places and save more lives.